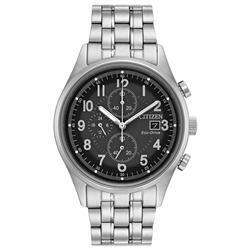 Citizen Eco-Drive Mens AT2146-59E Two Tone Watch. 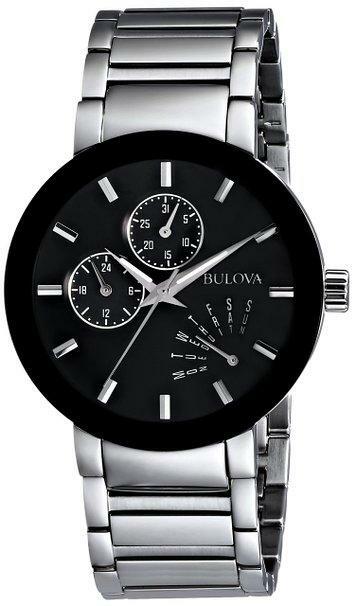 Crafted in two-toned stainless steel, this timepiece boasts a black dial, date display, chronograph sub-dials, second hand, and rose-tone accents. The two-toned link bracelet secures with a fold-over clasp. 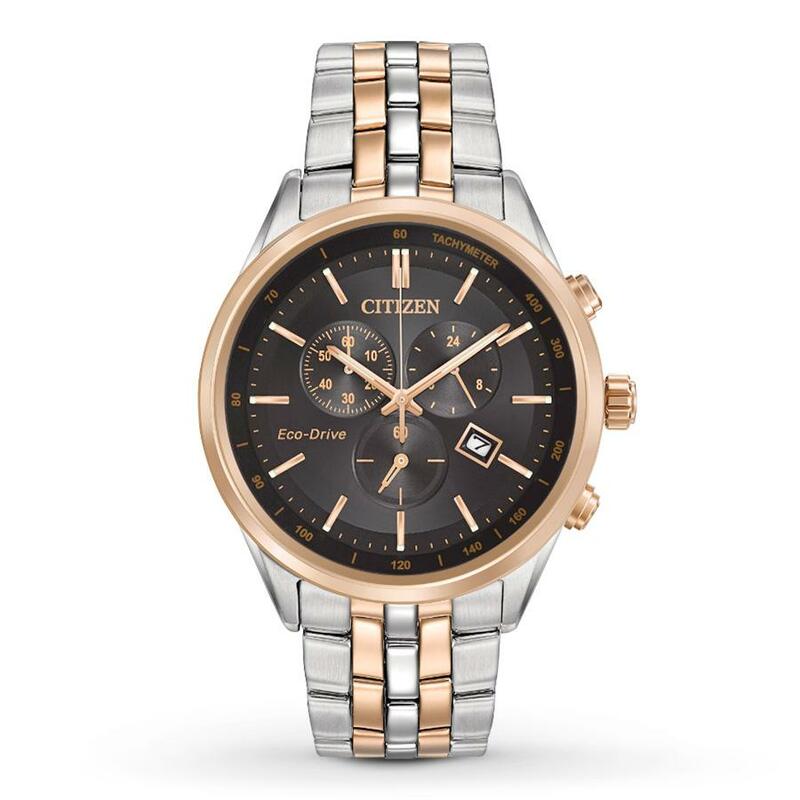 Citizen Eco-Drive� technology harnesses the power of any light source so this style never needs a new battery. Ensuring accurate time keeping, the Japanese quartz movement keeps you right on time. 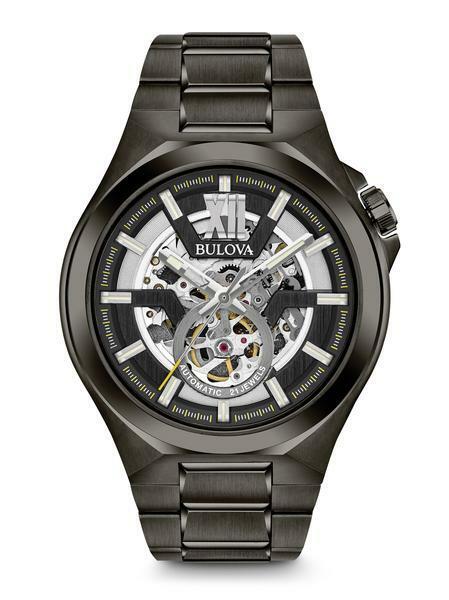 Water-resistant to 100 meters, this quality wristwatch includes a five-year limited manufacturers warranty.